Cancer is the 2nd leading cause of death among firefighters. 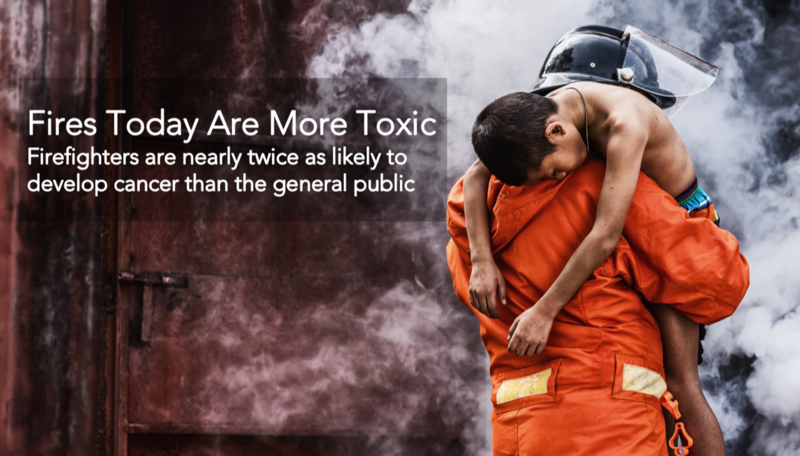 The multitude of toxins released during a fire and increased exposure times due to limited manpower are leading factors in the rise of cancer rates among firefighters. It’s expected that nearly 68% of firefighters will develop cancer in their lifetime. With survival rates above 90% for most cancers identified in phases 0 and 1, early detection is the key to combating the disease. BioScentDX leverages specially trained dogs to identify cancer markers in people’s breath. Making these services available to CAPF Members will provide a line of defense against the increasing threat of cancer. BioScentDX’s services enable highly accurate, non-invasive and affordable screening to help root out cancer in its early stages. CAPF members and their families can purchase screening kits at ww.BioScentDX.com/capf. Participants will donate samples of their breath, which are sent to the BioScentDX laboratory for processing. Samples will be presented to dogs specially trained to detect leading cancers including breast, lung, prostate, colorectal, and melanoma. Participants can submit samples as often as they like and typically receive results within 30 days.